SFI Tour 2017 – Swedish registration is open! Swedish registration at www.meracing.com. Klick the SFI button in the above list and fill in the form. Please read the invitation carefully and follow the instructions. See you all there for a good chat and get-together day. 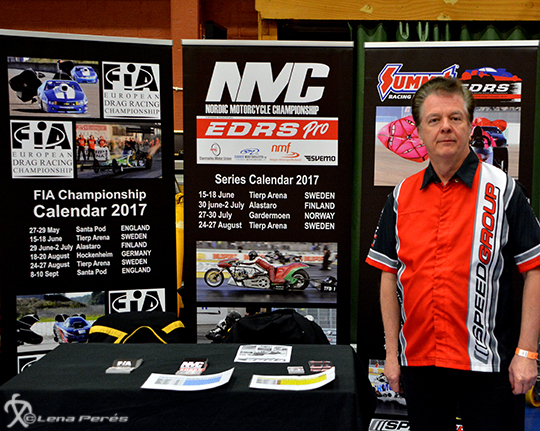 Carl-Erik Kihlman and Lena Perés was on site to promote our series, and to show our new logo for Summit Racing EDRS Series. A new drag racing season is on the rise, and although we are in the beginning of the year, we have already started with some news and events.